Lakefront Mid Century Ranch style home in the Hour Glass District. 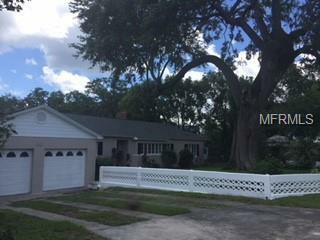 This 3/2 is located on a quiet street near Downtown Orlando, easy access to the 408 and I-4 or avoid the traffic and take the back roads. This home sits on almost a half acre lot on Lake Hourglass. It has mature oaks and landscaping with a large backyard that has room for a pool and a deck/patio for great outdoor entertaining. The floors are original oak and have been newly refinished. The home has a new roof, new paint inside and out, new stainless steel appliances and new granite counter tops. It is also located in what most consider the best school district in Orange county. Additional Water Information: Spring fed sand bottom lake with no restrictions on motors. Courtesy of Delta Realty Group, Inc.